Mildred “Midge” Mae Hylton, 91, of Dillsboro passed away Monday, January 21, 2019 at Ripley Crossing in Milan. Midge was born Tuesday, March 29, 1927 in Smithboro, Kentucky the daughter of Joe and Dallie (Franklin) Wells. She married Charles Hylton January 19, 1946 and he preceded her in death November 19, 1979. She attended Dillsboro Baptist Church, worked at both the Dillsboro Manor and the Dillsboro American Legion as a cook. She owned her own restaurant in Red Lion, Ohio back in the 1960’s-1970’s, enjoyed landscaping, gardening, flowers and auctions. Midge is survived by son Kenneth (Carol) Hylton of Sunman, daughter Judith (Gary) Baxter of Dillsboro, sisters Mary Jo Disney and Hilda Brashear, grandchildren Shannon Bogenrief, Danny Baxter, Bradley Baxter, Lisa Dingey, Brent Hylton and Matt Hylton, 14 great-grandchildren and 4 great-great-grandchildren. She was preceded in death by her husband and parents, brothers Samuel Wells, Norman Wells and Billy Wells. A service celebrating her life will be held 10 AM Thursday, January 24, 2019 at Filter-DeVries-Moore Funeral Home in Dillsboro with Pastor Steve O’Brien officiating. Burial will follow at Oakdale Cemetery in Dillsboro. Family and friends may gather to honor and remember her 5 - 7 PM Wednesday, January 23, 2019 also at the funeral home. 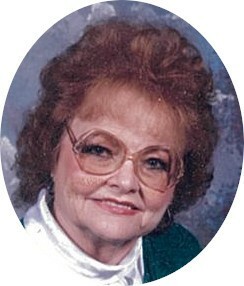 Memorials may be given in honor of Midge to the Dillsboro Baptist Church or the “IVETS” Dept. of Indiana. Filter-DeVries-Moore Funeral Home entrusted with arrangements, 12887 Lenover Street, Box 146, Dillsboro, IN 47018, (812)432-5480. You may go to www.filterdevriesmoore.com to leave an online condolence message for the family.